← What’s the Best Love Story of All Time, Vicki? It’s time for us to decide once and for all what the best love story of all time is. All this week we’ve been posting a new answer each day from one of Darley’s angels. But because today is the big day of love itself we’re giving you two answers for the price of one from two of our top agents nonetheless. Clare, what is the best love story of all time? Okay, so this probably isn’t the ‘best’ love story of all time. But when Vicki asked us to write a Valentine’s article for the blog this was the first title I thought of. For those of you who haven’t already read The Fault in Our Stars (and if you haven’t go and start reading it, like, now) it’s about a teenage girl, Hazel, who has terminal lung cancer and is encouraged by her parents to attend a cancer support group. Here she meets the charming, witty, gorgeous, and in remission, Augustus Waters. This book is about a lot of things besides cancer, and love is one of them. The two main characters are beautifully drawn; they are bright, funny, courageous, and warm. They are exceptional people in exceptional circumstances. They are also two angsty teenagers falling in love. At times I found this book difficult to read. The reality of a serious illness doesn’t make for light escapism. But I couldn’t put it down. I smiled and winced and laughed and cried (on the tube) and was absorbed in every word of Hazel’s story, right to its breathtaking, heartbreaking, star-crossed conclusion. What do you think? Is The Fault in Our Stars the best love story of all time? Let us know in the comments. 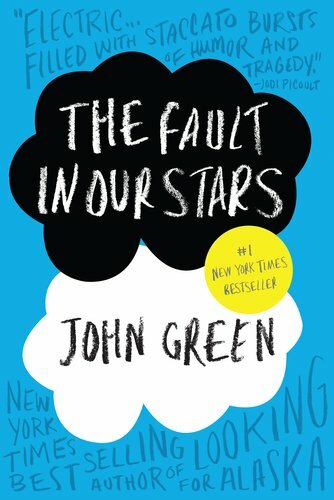 This entry was posted in Interviews, Meet the DA team and tagged Clare Wallace, foreign rights, John Green, literary agency, literary agent, literature, love story, The Fault in Our Stars, writing. Bookmark the permalink. 3 Responses to What’s the Best Love Story of All Time, Clare? Does Shadow of the Wind count? I’m going with yes. But not with perhaps the more natural “love story” of Julian and Penelope, but instead I’m going with Nuria and Julian. She loved him so much, and he was simply unable to return that because he built his world around the idea of him and Penelope. Their relationship was the true heart of the book. She kept him alive, even when she thought he was lost, she held on. I don’t even know where to begin looking for the greatest love story. 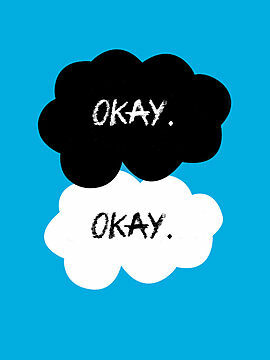 I love THE FAULT IN OUR STARS, and the connection between Hazel and Gus is such a meaningful one. I will say, the story that popped into my mind first wasn’t a conventional one. In DEERSKIN, the relationship between Lissla (Deerskin) and her dog Ash. I know she falls in love, in the end, with the prince, but I think that book is a love story between a girl and her dog. I also loved how intrinsically linked their arcs are.